One of the – for me personally – most touching space related messages I received recently was that a group of aurora enthusiasts and atmospheric scientists had spotted a atmospheric phenomenon which didn’t have a name yet. It’s a purple beam of light (directed east – west) which shows up between aurora’s, but has it’s own way of doing things. Initially it was thought to be a proton arc, but they can’t be seen. So it had to be something different. But what was it? It was seen quite often, but it had not been documented properly yet. Until now. 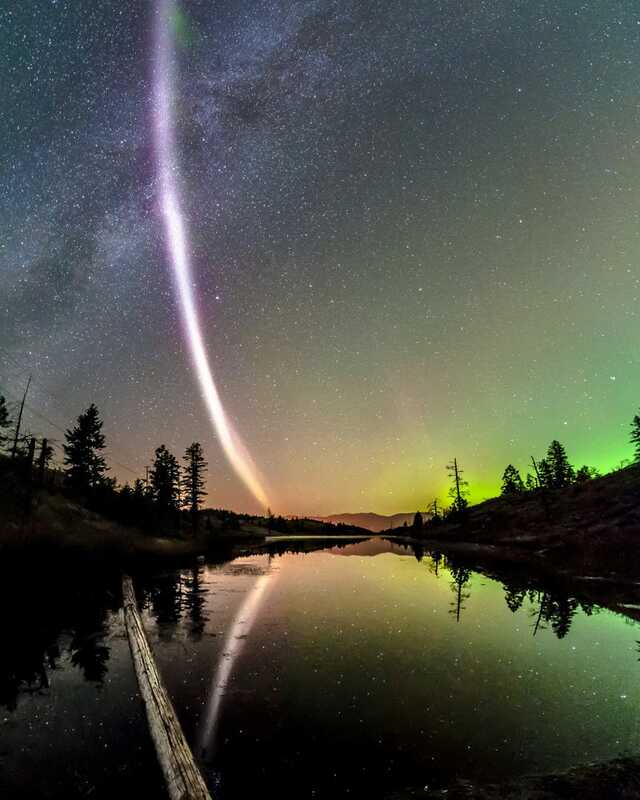 Based upon a movie called “Over the Hedge“, a group of scientists from the NASA, ESA and the University of Calgary and enthusiasts from the Alberta Aurora Chasers then decided to call it “Steve”. It may be a product of getting older, but there are times when I want to stop time. I want to make the sunsets last just a little longer. I want the quiet mornings to go on and on, the laughter at the dinner table to stretch out into a whole evening, the beauty of the clouds as they race across the valley to never end. It is not that I want to freeze reality, just slow it down. I want life to move as slow as me. For I have learned that life moves far too fast as it is. It is a joy that endures but briefly, made of moments that pass as quickly as hummingbirds. Let me linger in the love I feel. Let me see the light for as long as I can.